I bought this book at The Whale's Tale gift shop in Cape May, New Jersey. Over the course of my various visits to this charming resort and its wonderful beaches, I had picked up a few bits and pieces of genuine sea glass and thought surely I can make something out of it . . . . Most of the projects in this book are fairly simple, but some are more complex and therefore provide a worthwhile challenge for the not-so-much-a beginner. Author Lambert provides substantial background information as well, such as a sidebar on ceramic shards that also wash up on beaches. 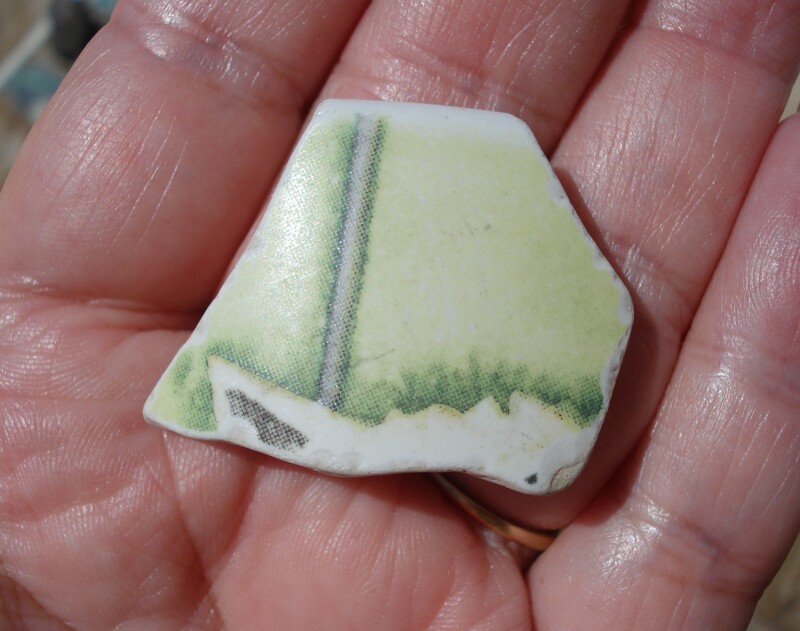 I found one of those on the beach at Cape May, a small piece of what might have been a child's cup decorated with a picture of a whimsical kitten. 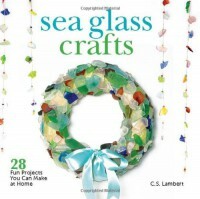 She also gives excellent directions for making the projects, including detailed instructions for drilling holes in sea glass using a drill press, regular drill, or Dremel tool. Holes are essential for turning glass pieces into earrings and other jewelry or sun catchers or any of several other creations. In fact, when I took this book off the shelf this morning that was the first thing I looked for: how to drill holes! Of course, it's not always necessary to drill holes. Some pieces are shaped just right that they can be made into something without drilling. 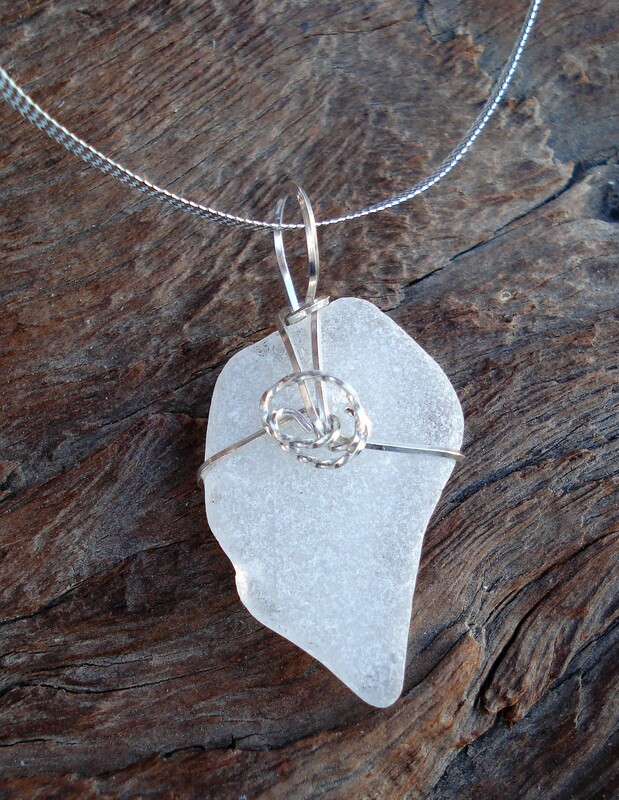 This is a pendant I made with just a piece of Cape May sea glass and sterling silver wire. It sold right away! I've only found a few very tiny pieces of glass at the beaches on Whidbey Island, Washington, but one thing I did find was one of my coolest discoveries ever. During a visit in 2009, I had gone with my daughter-in-law and grandson to the beach at Langley, WA in search of rocks or shells or glass or whatever. We found none of the first three, but I did find a whatever. Lying on top of the seaweed-covered rocks at the tide line was a small round grey thing with blue circles on it. 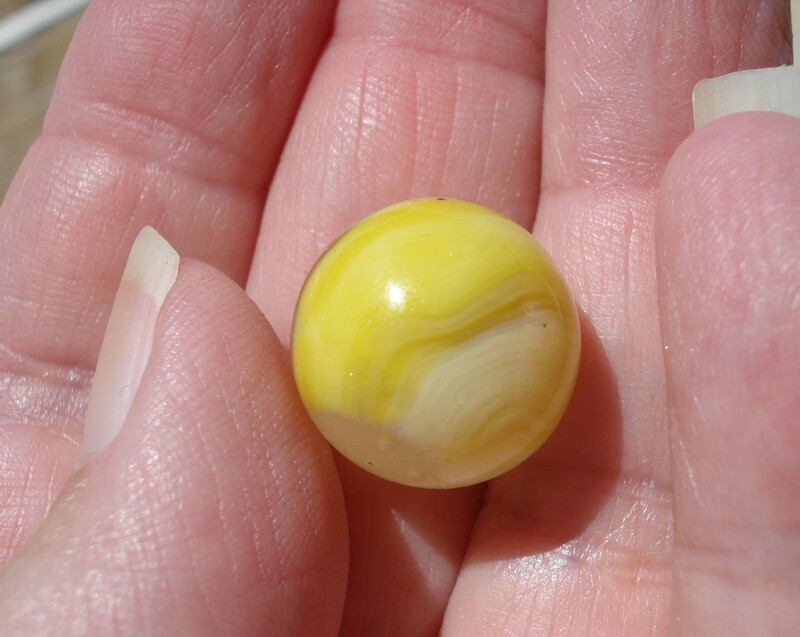 I could accurately describe it as the size of a marble because after we left the beach, we stopped at the grocery store and there was an ordinary glass marble in the parking lot. Although I don't exactly collect marbles, I do pick them up when I find them, and have acquired maybe two dozen over the years. So of course I picked up this yellow one and dropped it in my pocket. 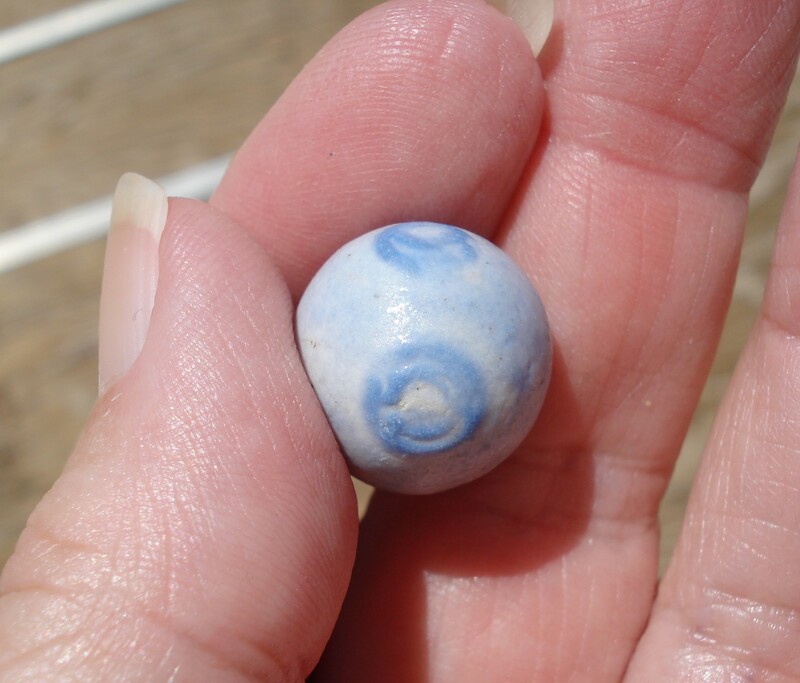 After we got back to my son's house, we did some quick research and determined that the grey thing with blue circles was in fact an antique clay marble! They're not particularly rare or valuable, but I did think it was kind of cool to find one on the beach, followed by finding a modern one! But now it's nine years later, and I still don't believe in omens.